At the very beginning of the millennium, I flew from London to Tannoy - to Coatbridge, North Lanarkshire, Scotland to be more precise. Earlier that year, the boys from Japan had placed an order for 50 pairs of Autographs, the last of which was being assembled in front of my very ears. That may very well have been the last pair that was manufactured, ever. For vintage freaks, these modern-day Autographs may not represent the originals from the 1950s but Autographs are Autographs, not just any Westminster or what have you. Little did I know then that 60 full moons later, I'd be reviewing a speaker that shares the same hexagonal shape with the original Autograph, the same overall style and even the same details (the old-fashioned grill cloth is inlayed within the angled sides towards the front of the cabinet). Yet it isn't taller than, say, a garden gnome. The height ratio is 1:4 when compared to the original Autographs. The speakers in my daughter's doll house are 1:18 to real life but make no sound. The petite but real speaker goes by the name of Autograph Mini. 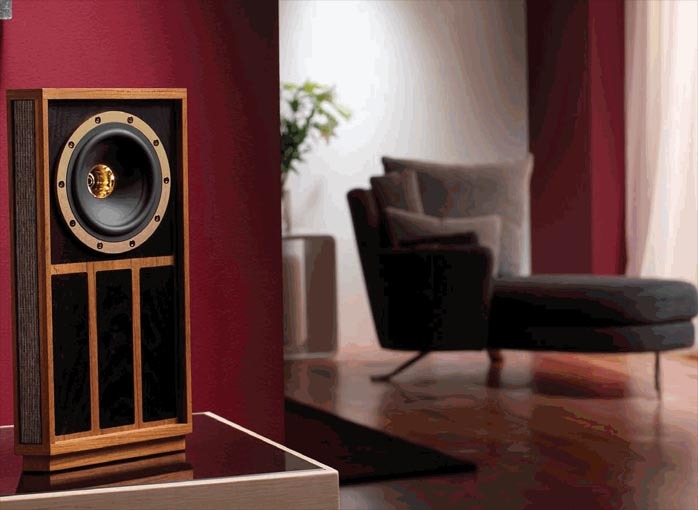 Tannoy describes it as "the exquisite replica that is the ultimate modern retro audio product." Ultimate modern retro audio product - I'm not sure I could have said it better. I wasn't able to put the Minis mini-i-mano with the original full-size Autographs. I did however manage to set them against Westminsters from the 1960s. The room of this encounter was 7 to 8 metres wide, at least that tall and something like 12 to 15 metres long - a chamber music hall in fact. The accompanying gear was ordinary transistor stuff from the 90s, with a Yamaha DVD player as source but the same gear for both speakers. It struck me how close a relation the sound of the Autograph Minis bore to that of the Westminsters. Despite the difference in vintage, the family resemblance was obvious, including the somewhat forward nature of sibilants. Even the size of the sound wasn't too dissimilar, amazing given the huge physical scaling involved and the fact that subjectively, the Minis' bass response started to drop off well before hitting the 60Hz mark. Regardless, the Minis' sound wasn't mini. Piano music that requires body and muscle in order to sound plausible and hit with full impact got adequate support from both speakers. Chopin's Nocturne Es-major from a Finnish compilation album was the example. Had the Minis amplified the left-handed keys a bit more energetically, I might have struggled to tell the speakers apart. In one respect, the sound of the Minis even exceeded that of their indirect larger precursors. Vocals and speech had a smoothness and purity that was lacking from the Westminsters whose lower mids arguably suffered from unnecessary reflections. It was fun and edifying to hear the Minis in the company of the Westminsters. 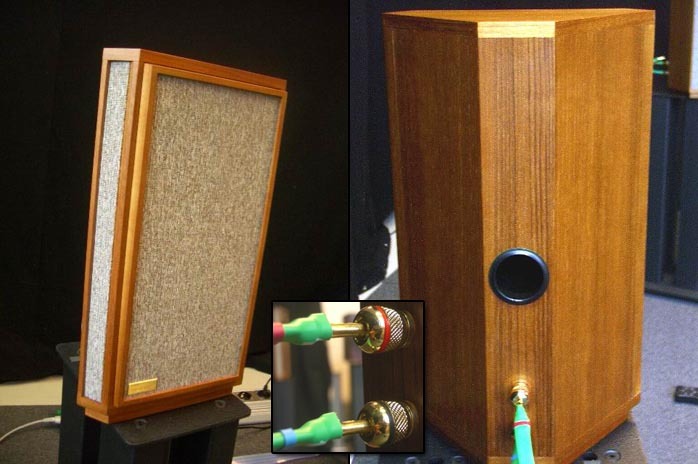 Outside of that, it made little sense to compare the Minis to any of Tannoy's Prestige Series models. For example, the full-size Autographs and Westminsters rely on horn-loading for amplifying bass output. Horn loading requires a complex internal cabinet construction and certain sonic attributes come along with it. The Minis, on the other hand, are rear ported. To some people, horn and reflex bass are nothing less than polar contrarians. Secondly, Autographs house a 15-inch driver. In the Minis, a 4-inch coaxial -- the smallest dual-concentric Tannoy has ever made -- is asked to reproduce all the frequencies. That too makes a huge difference. No 4-inch driver can compete with the best 8 inchers and no 8 incher can beat the best 12 or 15-inch drivers. For this reason alone, it would be ridiculous to expect the same level of sound quality from the Autograph Minis that one takes for granted from their larger forefathers. The driver itself has much in common with the famous Tannoys. The cone is paper pulp (although not of the original composition) and the frame is made of heavy cast alloy. The tweeter is on the same axis as the mid-woofer, in the throat of a special HF waveguide. The mid/bass cone continues this waveguide to achieve better coherence and a smoother transition at the crossover point. In the classic 10/12/15-inch designs, that crossover point was around 1,000Hz. In the Minis, it has moved to 2.3kHz, yet another important difference if you're counting. According to Tannoy, the key to the Autograph Mini's performance is the tweeter's titanium dome fitted with a neodymium magnet. The dome is said to deliver a smooth response up to 54kHz. As everybody knows, Tannoy is a firm believer in the wide bandwidth approach. The belief is that upper frequencies beyond the hearing level add naturalness to the sound as well as provide additional sonic advantages. Tannoy is not alone in this. I'm not yet fully convinced but have decided to remain stoic on this subject until I've got enough evidence to this or that effect. The Mini crossover features low-loss iron core inductors, specially damped audio-grade capacitors and so on, all in line with Tannoy's recent decision to launch new SE versions of its Prestige Series speakers. The difference is that the crossovers are now realized with "thoroughbred audiophile components". What else? Silver-plated Van den Hul cable is used for the mid-woofer and 99.99% silver wire for the tweeter. The superbly finished cabinet is made of high density Birch ply with hardwood veneers. As should be clear by now, the Autograph Minis aren't Autographs. The resemblance is merely skin deep and at times not even that: the oatmeal colored grille cloth only looks the same but is actually more transparent. In how the Minis operate, they are completely different beasts. There's one essential unifying feature, however. When watching the Autograph Minis in action, one gets the same positive vibes as one does in front of original Autographs, Westminsters or other classic Tannoys. Chez moi, I compared the Minis to my usual wide-banders using 4-inch Fostex drivers (the FE-103 Sigma and FE-108). The Minis were roughly 2 metres apart, with half a metre empty space behind them, on the long wall of the room and slightly below ear level. During those sessions, the sound coming from them presented itself to my ears like the UN's discussion papers at their best, i.e. they were well balanced. No excesses (accentuations), no distinctive under representation in any area of performance except for low bass. Higher notes didn't stick out, the upper bass didn't protrude. There was no fear of having to feel shame because of obvious sonic defects, which, let's be clear, cannot be said of all the wide-band driver speakers I've heard. That was a good start. On the other hand, the Minis didn't provide as lively and uninhibited a sound as my Fostex-based speakers did. Frankly, I didn't expect them to be equally vivacious. Apples are apples, oranges are oranges. The Minis are not designed to exhibit the sort of virtues people search for with certain single-driver speakers. End of story. UN documents must not only be well balanced but also comprehensive and all-embracing. The Minis aren't. Low and mid bass are missing. The Minis are very neat and polite in their bass performance, for good and bad. The scarcity of the lows didn't bother me in the initial phase of our acquaintance though later, this lack became more bothersome. It was admirable, however, that despite the somewhat compromised bass output, the overall tonal balance didn't step over the line where the sound would have turned overly bright or cold. Clear and sharp yes but not harsh. I wonder whether this was due to the fact that my preferred way to listen to music is not in the hot spot but off-axis? 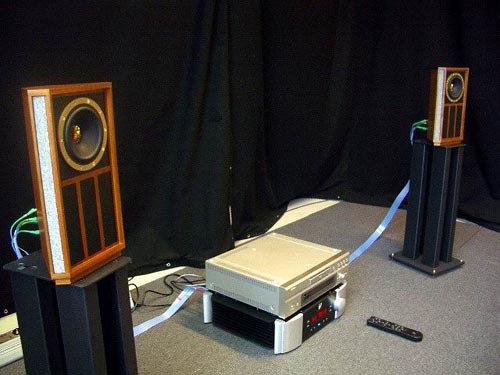 When I moved the Minis to a specially designed listening room where they now were one metre from the front wall, a little less from the side walls and slightly angled towards the seat, my impressions of the sound took a slightly different path. The higher mids and sibilants now appeared raspier. Was it the Accuphase amplifier, the Sony CDP and Supra cable? Maybe. Even with their contributions filtered out, I'd say that the Minis can be quite brisk and snappy. The sound then becomes fussy and care in choosing accompanying amplification and speaker placement surely pays off. The load is not too bad - 88dB and a nominal 8-ohm impedance. To give you a more detailed picture of this quality, here's what happened with some of the tracks on Test CD No. 3 from Nouvelle Revue du Son. On the "Lute Fantasia" [HMU 907043], the lute sounded fast and crystal clear but also quite crisp and sharp as though some of the upper harmonics were accentuated. The same held true with Purcell's "Suites for Cembalo" [HMC 901496]. The playing was very clear and punctual but too nervous. In one of Mozart's "Quintets" [HMC 901512], the imaging was superb but the violin sounded slightly thin. Telemann's "Overture" [Archiv 437 558] was a shade too bright for my tastes but otherwise the presentation was fresh and wholesome. "Medieval brass music" [L'Oiseau-Lyre 436 718] came out too constrained. As always, the coin has two sides. The sound of the Minis also possesses a certain healthy directness and forwardness which I liked a lot. As I did the feeling of a speedy sound that was always present. Thanks to this quality, listening to Minis was often particularly refreshing and something very different from what conventional two-way speakers with a fully compromised sound have to offer. At some point, I had a chance to audition the Minis in a shop with Michell turntable, Lehman phonostage and Dared tube amp. An LP with saxophone was playing. I thought the sound was fantastic, very titillating, very appealing. The sound of the saxophone was quick as lightning and sufficiently rugged. In their well-treated listening room, the upper bass/lower midrange behavior was more incoherent than at home. At home, I didn't feel the need to insert the included foam pads into the reflex tube. In the shop, the inserts noticeably improved bass performance. It became smoother and more consistent. The bass performance is always dependant on room and placement but my advice is to not hesitate to use the foam inserts if problems emerge. Smoother bass means cleaner midrange. That's not a minor boon. Ports plugged, the Minis sounded even leaner and more monitor like. If the room doesn't augment the Minis, certain more demanding music will yearn for more warmth and weightiness. Chamber music (e.g. Vivaldi's Sonatas on Accent ACC 9181D) and Baroque orchestral music in particular would have benefited from more extended bass. 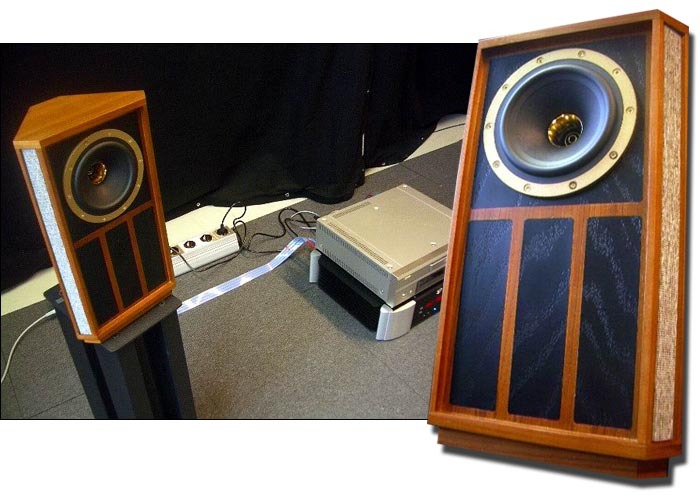 I found myself pondering how the Minis would sound with a pair of Altec 38cm woofers. There you'd have some combination! For some reason, the lack of bass didn't disturb me that much with electric music and studio recordings. As compared to the Autograph Minis, Tannoy's Mercury 2s have more substantive bass and because of it, a more open, airier and warmer sound. They breathe better and are more relaxed. Some vocal music in particular was more accessible. The Minis were somewhat inhibited in this regard and I wondered whether this was something Tannoy had aimed for. Where the Minis exceeded the Mercury 2s was in their ability to offer musical detail that increased the sense of realism. Also, the purity of the midrange was a noticeable strength of the Minis. 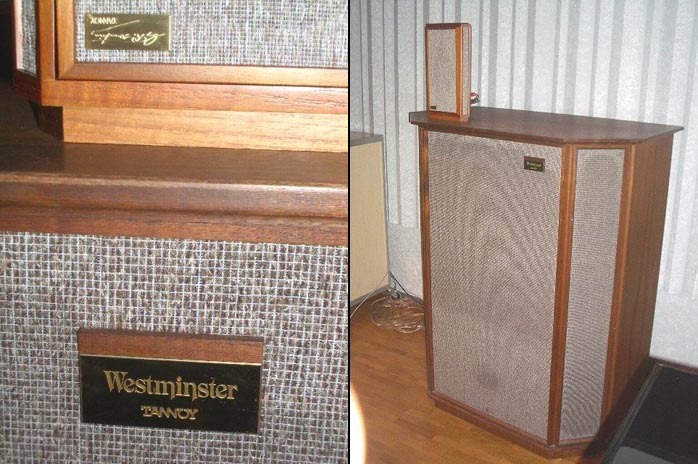 Of the two, the Mercury 2s is clearly the more universal speaker. As relatively narrow speakers with a mostly non-resonant box, the Minis are bound to image well and left-to-right spread was truly exceptional and three-dimensional. As point-source speakers, the Minis also added height and roundness to the sound to make it less laid-back, less artificially stereo, i.e. more natural and whole. The sound image of Mercury F2s was more unsteady by comparison. The Minis are unique in many ways and not just one of the many two-ways flooding into the market. Products do have a price, but they have a value too. And value is a wider concept than price. The Minis are beautifully made. They are perfectly fit to become a collector's item. The Minis embody tradition. I know many who'd happily pay the required money for the Minis simply on this basis - if they could afford them in the first place. Plus, how they sound makes much sense. It really does. Recently a German economist asked my advice on choosing a pair of speakers. 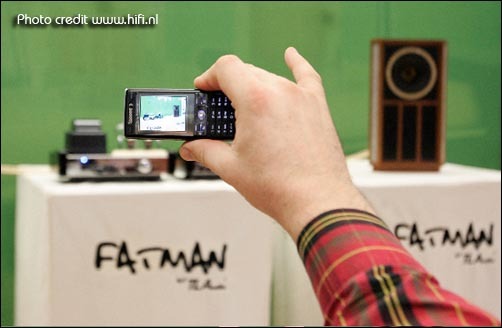 He's not a hifi-nut. He wanted to have decent speakers for a reasonable price. 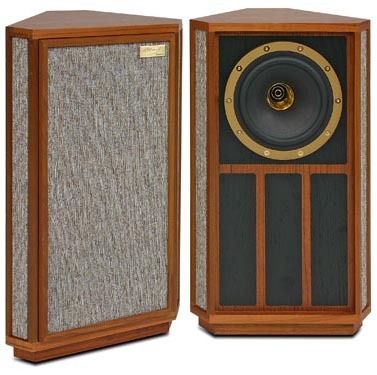 Along with two others, I recommended Tannoy's Mercury F2. Those speakers can be recommended to anyone. Under no circumstances would I have recommended the Autograph Minis. They are for those who are familiar with and care for the tradition. They are for those who already know what they're doing. 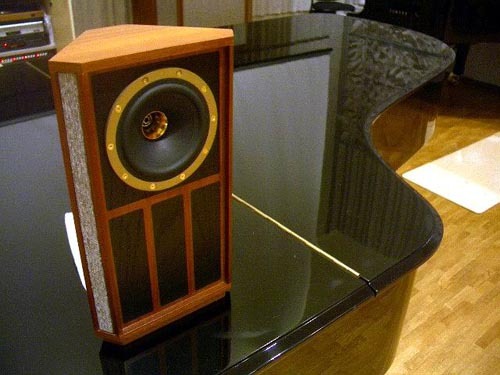 I would not be surprised if Japanese enthusiasts had already developed a sub culture for producing gorgeous sound from these Tannoy miniatures.